You can have unlimited earning opportunities when you choose to Trade Zone options. We have a range of ZoomTrader binary options that you can choose from, and get yourself familiarized with. Using these various options, we are giving you a number of opportunities to make profits by forming accurate predictions of an asset’s movement. We offer you one of the easiest-to-use binary options, the High/Low options. It’s already in the ZoomTrader trading type’s name – High or Low. This means that you have to speculate whether an asset’s price would rise or decline within a given amount of time. 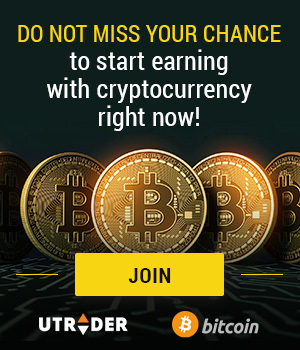 It’s one of the fastest ways to trade ZoomTrader. A “High” option means that you think the asset’s price would be higher than its current price, by the expiration time. In contrast, investing on a “Low” option means that you assume the price of the asset to be lower than its current price, by the time of the option’s expiry. Like the High/Low options, the Touch/No touch is equally simple. But this time, your goal is to predict whether the price of an asset would touch or not touch a specific target price at any time before the option expires. For example, let’s say that Silver is currently priced at $/€/£32, with a target price of $/€/£34 and en expiry time of 1 hour. Buying a “Touch” option means that you think Silver’s price would reach $/€/£34 within 1 hour. Otherwise, you would go for the “No Touch” option. This only shows how simple it is to trade ZoomTrader. For the Boundary options, all you have to do is to predict whether the price of your chosen asset would end up inside or outside of the range based on the upper and lower target prices. Again, purchasing an “In” option would mean that you assume the asset’s price to close inside the upper and lower target prices, or within the range. Otherwise, you’ll buy the “Out” option.